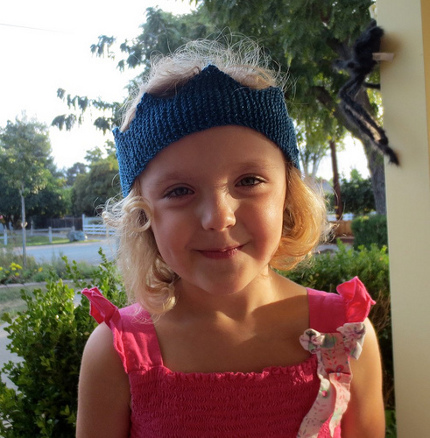 We are big fans of knit crowns in my household and it’s always fun to see other people enjoy this classic craft, too. Susi from Just Crafty Enough used some Lion Brand BonBons — a super fun yarn with a bit of sparkle — to knit her celebration crown. You’ll need a couple of bags of this stuff if you want to make a single-colored crown, but I’m sure you’ll find uses for the other balls without too much trouble. I love the way this one turned out. If you want a project you can make with a single wee ball of BonBons, she’s also got an adorable crown coffee cozy, which would make an awesome gift for a java-loving teacher along with a gift card to her favorite spot. Love it! this web page, and article is truly fruitful for me, keep up posting these types of articles or reviews.